Imagine walking around through narrow cobblestone streets, beneath archways, colorful wooden window blinds and antique wooden doors. 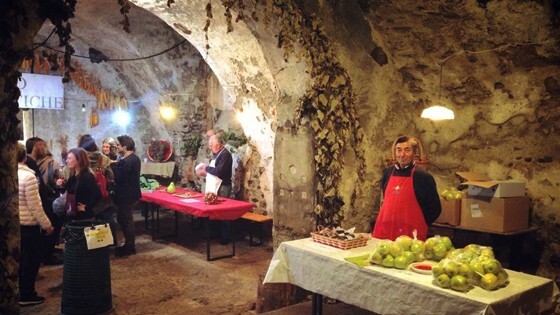 This description suits most of Italy’s small towns but one in particular – Morbegno, home to over 50 ancient wine cellars, hosts an annual wine tour that attracts both locals and visitors alike. Participants are given an itinerary based on their selected “Wine Route”. There are nine routes to choose from rainging from €10 to €40 for the cost of the ticket. I was in a group of 13 and we all decided to take the “Itinerario Rosso” or “Red Route” which was the mid-range ticket that ensured you wouldn’t be among boring old people or loud rambunctious tennagers but rather the “Young Working Adults That Want to Get Sloshed But Still Maintain Some Diginity” crowd. For €24 per person, we each received a tour map and a wine glass complete with a necklace holder which proved to be useful when worn around your neck so that your hands are free. And believe me, you want your hands to be free so that you can munch on the delectable spreads of cheeses and cured meats that are served at all the wine cellars. There were 10 cantinas to visit on our itinerary. A red bulb and sign outside each entrance let us know when we arrived. Let the drinking begin! Left: Arrived at our first Cantina, time to drink! Right: Hey, who cut the cheese?! Nonno did. Left: Iin front of some really old wine barrels. Right: Looking through a little window framed with grapes at the assortment of cured meats and cheeses served at each Cantina. 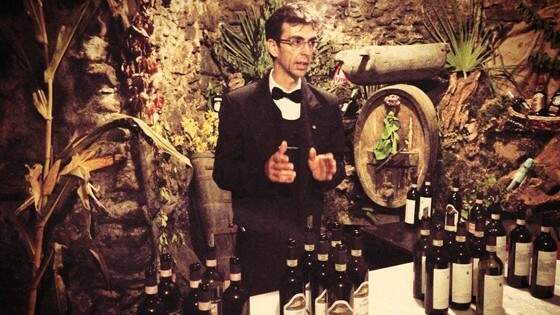 Left: One of many Sommeliers that poured our wine that day. Right: Group shot, getting an education about the origin and process for each wine. 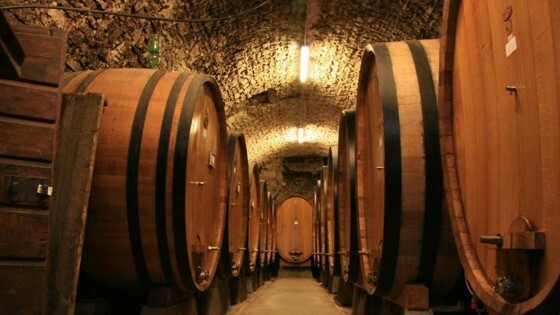 A walking wine tour through the old town of Morbegno is really an experience like none other. You are in a constant state of happy drunkenness, you taste the most delicious specialty cured meats, cheeses and sweet-breads, you’re in the company of your good friends and it’s fun even if its raining (which it was that day). Six hours later, after losing count of how many glasses of wine we all drank, we still had one more Cantina to visit. At that point we were quite content with the overall experience and a unanimous decision was made to head home instead – onward to a big Italian dinner! 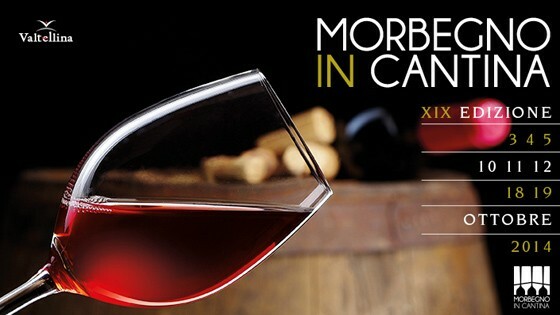 Below is the list of Cantinas on our itinerary as well as the types of wine served.